Linguistics is the scientific study of language and languages. It encompasses their nature, the function of the human mind during the formation of their words and their meanings, and their reception and resultant effects on the listener. The definitive origin of language has thus far been elusive, although there are several theories, all of which point to its earliest use. Hand signals, for instance, emanated from thoughts and it is believed that these ultimately adopted sound, while other studies indicate that objects were given names to reflect their appearance. Still other theories postulate that primitive grunts and similar sounds, emitted during hunts and in the midst of arduous labor, evolved into distinct words. Nevertheless, there are several linguistics sub-branches, including historical, comparative, grammatical, theoretical, neuro-, psycho-, anthropological, ethno-, socio-, computational, and stylistic. Speech can be defined as the utterance of an individual, while writing is considered a displacement of that speech or a form of symbolization. Although language is a conventional system of habitual vocal behavior by which community members communicate and can therefore be considered primary, only a small percentage of tongues took written form, since most cultures were only oral ones. Writing itself can be considered voluntary, since it is a set of habits, which can be amended at will, and its form is arbitrary to what is being verbally communicated. Subdivided, linguistics can be considered to encompass two definitions-"langue," meaning any language in general, and "parole," or any language involving a set of operations. 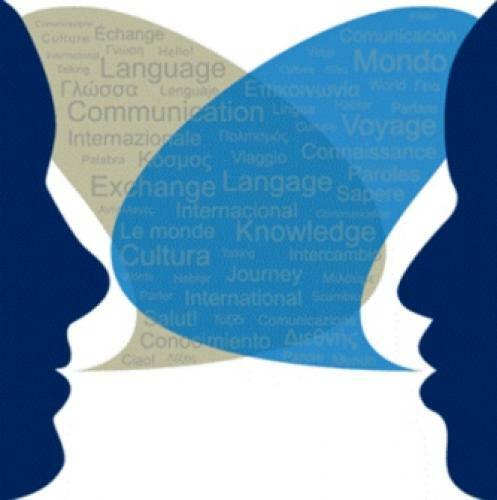 Synchronic linguistics is the study of any language at any given time, such as English during the 16th century, whereas diachronic linguistics is the study of a language through different historical periods. Language is not static. Indeed, it changes constantly, explaining the proliferation of dialects, which themselves result from socially amended conditions, such as those of occupation, distance, and time in history. Language also has several properties. Phonemes, for instance, are a small inventory of distinct sounds, usually between 30 and 40, organized in a certain fashion, called phonology. Syntax is the complex of words and phrases, which form meanings. Both result in language's bilateral structure. All languages are open-ended-that is, an infinite number of sentences can be generated because of the infinite number of ways in which words can be grouped and collectively used. Resultantly, its extent cannot be determined. Language both creates and reflects. In the former case, it creates the culture in which modern man lives and by which he is defined. In the latter, it reflects the social structure of the society in which it is spoken. The kinship terminology-or words related to others-is limited in English, for example, and encompasses such kinships as mother-to-father and brother-to-sister. Yet there is no base term to express a bride's parents in relation to a groom's and this concept must therefore be explained. This lack does not exist in Yiddish. A single term-"machuten" (masculine), "machutaneste" (feminine), and "machutenim" (plural, both genders)-signifies "in laws." In Niamal, the language of an Australian tribe, single terms express degrees and ties of relationships. The Navajo language offers an example of how oral communication reflects its culture. In European languages, man is part of the ongoing processes of the universe, as indicated by such sentences as "I write," "I drive, "I walk." Man is in command, and sentences are constructed with the actor, action, and that which is acted upon, such as "I shoot the arrow." Navajo, however, is noun-centered, and man is a part of the natural processes. Its sentences are constructed with the actor, the action, and their reflexive expansion, such as "I have taken part in 'arrowing'." Culture can additionally be reflected by the number of words existing in a language to express what is important to its people. English, for example, has only a single word for "camel," while Arabic has more than a thousand. English, again, has few nouns to express "snow;" but the Alaskan Indians have hundreds. Conversely, English has numerous words for car and their brands and types. Grammatical strategies also reflect culture. Verbal links indicating the past, the present, the future, and the conditional tense, for example, are numerous in English, while in Hopi, time is not expressed at all, with its verbal links built around validity, duration, intensity, and tendency. Its grammar exists without time and space concepts, yet it still manages to adequately describe the universe. Language, as previously stated, constantly changes and there are several methods by which it does. One of them is conquest. During the Norman Conquest of England, for instance, the two languages then spoken, Anglo-Saxon (Old English) and Norman French, combined. Another result of this dynamic is substratum-that is, one language, forming a sub-layer, temporarily disappears only to later surface in modified form. Latin, for example, was subjected to phonological or sound changes when it was introduced to Spain, explaining why the "v" was subsequently pronounced like a "b." Phonological variations also occur when one area of a country becomes more important than the other, due, for example, to economic conditions. Before 1600, the "r" was pronounced like it is in Italian, trilled, but thereafter was spoken more as it is in French, further back in the throat. Several other phenomena spark language change. Adstratum occurs when the language of one or two contiguous speech communities exerts an influence on the other, as occurred between Bulgarian and Romanian or between American English and Latin American Spanish. In the latter case, expressions were adopted from the other. Latin American Spanish, for example, assumed the "Have a good weekend" expression from American English-"Tenga un buen fin de semana." Superstratum, perhaps the result of a more forced event, is introduced into a speech community for reasons of military conquest, cultural superiority, or colonization, affecting the language before it disappears, as occurred with Norman French. Language can be considered to offer five functions to the culture it expresses. The inquiry question, the first of these, consists of the standard "who," "what," "when," and similar parameters generally structuring the first paragraph of a journalism or newspaper story, and entail inflectional modifications-or the change in voice pitch. Spanish places an upside down question mark at the beginning of a written sentence to indicate that it is an inquiry and thus alert the reader to silently employ this inflection in his mind. The second function is the ostensible question, in which orders are replaced with inquiries. "Close the door," for example, becomes "Would you mind closing the door?" Interjections such as "Wow" do not convey meaning. The third is argumentation or contention. Attempting to convince, as lawyers do in their arguments, language is employed to persuade the other person to adopt the views or ways of the persuader. This is the primary engine of a debate. The fourth is ritual use. Utilized in prayer, sermons, and on official documents, it is predictable, repetitive, and often intellectually empty. Finally, the fifth function of language is to establish contact, in which case it is considered "contactive language," and it includes such frequently used greetings as "Hi," "Hello," and "How are you?" Usually devoid of meaning, they seldom expect or attract responses of any significance, particularly if a person is pressed for time, and only indicate the acknowledgment of another, such as when two students pass each other in their school corridor, or become the prelude to the real and intended conversation. As such, they convey no message. There are also two important language-related terms-dialect and ideolect. The former, dialect, is a subvariation of the principle language and can share as little as 51 percent of intelligibility with it, introducing modified phonology (sound), morphology (words), and syntax (grammar). In the United States, American English is infinitely more unified than the languages spoken in comparably smaller countries, such as in Germany and Italy, although dialects exist even here, such as those between Standard and Black American English and those between Standard American and Standard British. The designation "standard" is used to indicate primary structure, vocabulary, and grammar, but does not necessarily imply "correct" or "right." Because language's purpose is to orally communicate, if this intent has been achieved between two or more slang-employing people, then it has been successful, despite what grammarians or Harvard English professors may protest was laced with "incorrect" components. The ideolect, the second subvariation, is the characteristic speech of an individual. Although two brothers can be raised by the same parents in the same town, for example, their ideolects will change as they attend school, make different friends, immerse themselves in clubs and activities, and ultimately leave their area of origin. Morphemes (words), like language as a whole, can also change, acquiring new meanings that eradicate or even invert others. "Deer" in Modern English, for example, refers to a specific animal, but in Old English it signified any animal species, since it was originated from the Old German word, "Tier." "Silly" used to mean "blessed" in Old English, because it came from the Old German word meaning exactly that, "selig." In modern times, the distinction between "good" and "bad" has blurred and, in some cases, completely reversed. "Hey, you're bad man," can mean, in slang, that someone is actually good and esteemed, because he may have employed underhanded or unconventional tactics and ways to bring about something good. Some words can altogether disappear, such as "ado" and "swell," because they have become archaic or no longer fulfill their original purposes. Nevertheless, language serves as the oral cohesion of humanity, his culture, and his society.